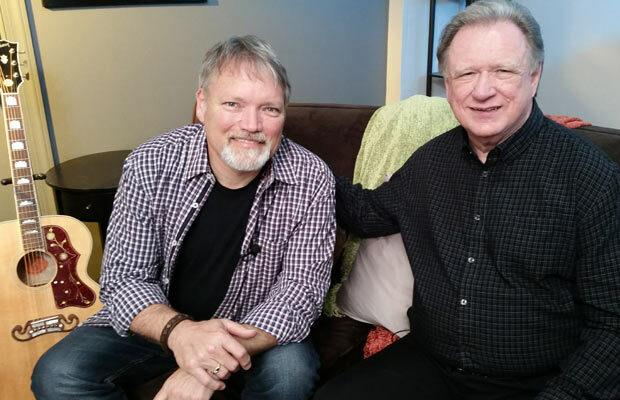 NASHVILLE, Tenn. – Country singer/songwriter John Berry is taking fans inside his illustrious 36-year career in an upcoming episode Heartland TV’s brand new smash “Reflections,” airing on Oct. 5 (check local listings). Viewers will get a never-before-seen glimpse into the past, present and future of John’s storied career, as he sits down with Tennessee Radio Hall of Fame DJ Keith Bilbrey. In addition to Heartland TV, the show will air on Blue Highways TV, The Family Channel, Angel Two (DISH TV), and AMG-TV (check local listings). Berry has been turning heads with his latest Tour Bus Cover series. This time, he performs John Denver’s classic hit, “Annie’s Song.” The #1 Billboard Hot 100 smash, released in 1974, was given the John Berry treatment, and was spotlighted on Digital Rodeo. Stay tuned for even more Tour Bus Covers, as Berry tackles some of the biggest hits of all time. The nominations have just been announced for the 21st Annual Inspirational Faith, Family & Country Awards™, and Berry is a finalist for Mainstream Country Male Artist. The winners will be revealed on Oct. 22 at Cornerstone Nashville. The Inspirational Country Music Awards are held in conjunction with the annual ICM Faith, Family & Country™ Week, which draws fans to Music City every year and features the ICM Faith, Family and Country nightly showcases, a special Sunday night Honkytonkin’ Jubilee, the Power Source #1 Party, Media Appreciation Luncheon, membership breakfast, seminars and much more. During his star-making decade, John Berry placed 20 singles on the county hit parade. He earned Gold and Platinum records. He was nominated for a Grammy Award, CMA Awards and ACM Awards. Berry’s co-written “A Mind of Her Own” and “Kiss Me in the Car” introduced him to radio audiences in 1993. Then “Your Love Amazes Me,” “What’s in It for Me” and “You and Only You” thrust him to stardom in 1994. “Standing on the Edge of Goodbye,” “I Think About it All the Time,” and “If I Had Any Pride Left at All” were all major hits the following year, and the first-named earned John Berry a 1995 Grammy nomination. Berry took “Change My Mind” into the country-music top-5 in 1996. “She’s Taken a Shine” became an even bigger hit in 1997. Both fans and the media took note when “There He Goes” was released as a 1999 “duet” with Patsy Cline.